The Outdoor Interiors Eucalyptus Bar Height Table is ideal for smaller gatherings. It includes an umbrella hole for extra shade when in use, and multiple foot rests finish the look and comfort of the table. The Eucalyptus Square Bar Table is made from plantation grown Brazilian Eucalyptus and is finished with a beautiful brown umber stain. The well positioned footrests bring comfort to the table. 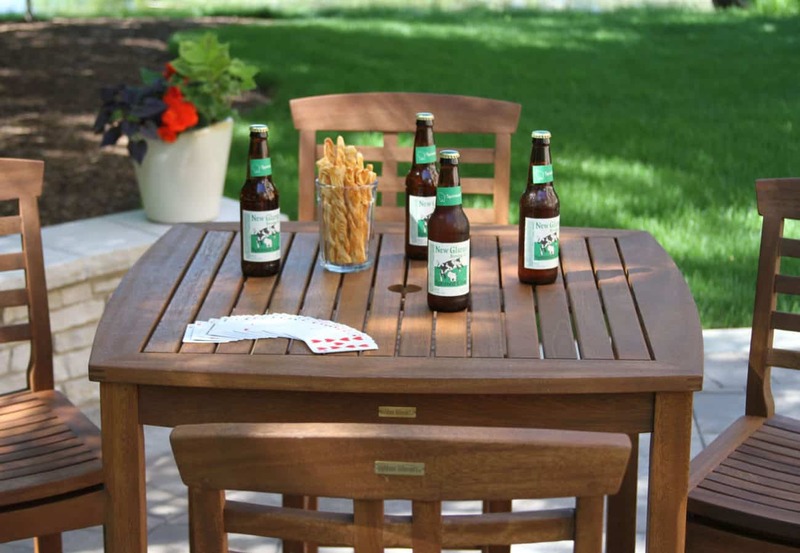 It goes well on patios, decks and balconies with our matching bar height stools and chairs.